Similarly, the usually-honorable PBS seems to keep subtly mis-informing its viewers with various slanted Frontline documentaries that, for just one example, has promoted the alleged safety and efficacy of Big Pharma’s toxic drugs and Big Vaccine’s neurotoxic and autoimmunity-inducing infant vaccines. It also has continued accepting the sponsorship of NOVA from David Koch and then squashed an expose of the nefarious agendas of the Koch Brothers. But readers should be reminded about the fact that those who willingly and knowingly cover-up crimes are themselves guilty of criminal conduct, and they can be prosecuted. Most people regard the horrendous events of 9/11/01 as the Crime of the Century; so those who knowingly cover up those crimes are technically guilty of crimes themselves. Should that standard apply to editors and publishers (and their reporters) of the TV, radio and print media outlets that inform us (or mis-inform or dis-inform us)? I think so. And, despite their supposed crime-fighting reputation, the FBI collaborated in – and covered-up the Crime at the Pentagon by almost instantaneously confiscating private video surveillance cameras from nearby businesses. 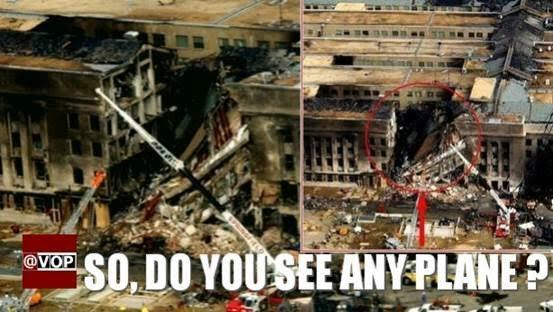 And the Pentagon never released the evidence that would have proved or disproved what many eyewitnesses observed: that no commercial jet hit the Pentagon on 9/11/01. (If the videos had actually showed an airliner, the Cheney/Bush administration would surely have flaunted those videos.) . So the Cover-up of the Crime of the Century (a prosecutable offense) continues, and PBS and NPR (and every other corporate-controlled mainstream media outlet that one can think of) could be prosecuted for their parts in the cover-up because of their decisions to withhold vital information from the public and the American taxpayers. But what bothers me the most is that most of the soon-to-vote young adults (that were infants, toddlers or naïve children back in 2001) may never have had the opportunity to see the evidence that implicates their own government, their own politicians, their own FBI, their own CIA and their own DOD in the Crime AND/OR the Cover-up. What is needed is complete transparency. And so a sizable proportion of a new generation of manipulated and brain-washed Americans are unaware that its nation’s perpetual war agenda and the diabolical military and economic destabilizations of weaker nations around the world is actually understandable if one understands what really happened on 9/11. 9/11 was the justification for 1) stupidly invading Afghanistan and Iraq. 9/11 was also the justification for 2) the formation of the Gestapo-like Department of Homeland Security and the new 3) Surveillance State, both of which have gutted the Constitution. Without the orchestrated events of 9/11, the 4) controversial Patriot Act [as well as 5) every National Defense Authorization Act since then] and the 6) perpetual, enemy-producing ever-lasting “War on Terror” would not be realities. Without coming clean about the truth of 9/11, neither the nation’s credibility nor the planet can be sustained. Powerful media-perpetrated Big Lie propaganda has justified in the minds of most citizens the corrupt Cheney/Bush administration claims that the “attacks” were orchestrated by Osama bin Laden and not by our own Crony Capitalist system that worships at the alters of Mammon and Mars. The evidence for the above assertions is overwhelming and is easily available for confirmation for anybody with internet access and the ability to overcome their blind patriotism, their cognitive dissonance and their willingness to courageously search for the truth. My colleagues in the 9/11 Truth community only hopes for an honest appraisal of the established facts and that readers will start reading between the lines and start thinking critically. 1) Did you know that a third World Trade Center high-rise building also fell on September 11th? WTC Building 7 was a 47-storey, steel-framed skyscraper located a full block away from the Twin Towers and it was not even hit by any plane. 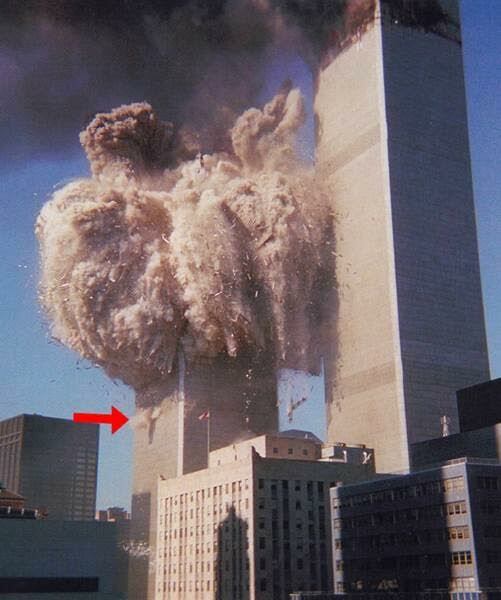 Nonetheless, it fell at near free-fall speed straight down into its own footprint at 5:20 p.m. that afternoon. 3) Did you know that “Lucky” Larry Silverstein was awarded 4.68 billion dollars in insurance claims for the Twin Towers which he had just leased six weeks before 9/11 from the Port Authority of New York. The Port Authority had previously declined to spend the multi million dollars necessary to remove the asbestos and bring the Towers up to code required by law? 4) Did you know that – in the history of architecture – fire has never caused any steel-frame building to collapse, except on 9/11 when three skyscrapers fell at near free-fall speeds despite the fact that there were scores of massive steel columns in the core of each of the Twin Towers? 6) Did you know that fighter jets routinely are scrambled the minute any airplane loses contact with the FAA or deviates from its flight path and the jets usually only take 20 minutes to get in the air? 7) Did you know that in the nine months preceding 9/11 there were 67 jet fighter scrambles of wayward airplanes and that on average 100 intercepts occur each year? 8) Did you know that the Secret Service broke established protocols by allowing President Bush to remain in a well-publicized classroom photo op for at least 8 minutes after it was revealed to him that “America was under attack” (when Andy Card informed him that the second plane had hit the second tower)? 9) Did you know that the Securities Exchange Commission (SEC) has never revealed the unidentified traders who made millions of dollars in profits by short-selling the stocks of American and United airlines that were impacted by the attacks? 10) Did you know that there were countless warnings of “impending terrorist attacks” from at least 11 countries prior to 9/11 and that the threat level for such an attack was ‘blinking red’ according to the Director of the CIA George Tenet? 11) Did you know that Attorney General John Ashcroft, San Francisco Mayor Willie Brown, author Salmon Rushdie and (according to Newsweek) a group of high-ranking generals at the Pentagon were warned not to fly on 9/11 but never revealed who told them? 12) Did you know that in September of 2000 a NeoConservative group of Republicans known as The Project for A New American Century (PNAC, many of whom would become key officials in the Bush administration the next year) wrote that their proposed massive military buildup would proceed slowly “absent some catastrophic and catalyzing event – like a new Pearl Harbor”? 13) Did you know that at least 6 of the alleged 9/11 hijackers were reported to be still alive according to BBC and UK print media reports in the weeks following 9/11? 14) Did you know that the FBI has said that there is no evidence to link Osama bin Laden to 9/11 and that Osama was never wanted for the crime of 9/11 on its Ten Most Wanted Fugitives list? 15) Did you know that the leading scholar of Osama bin Laden (Bruce Lawrence) stated that the December 2001 confession tape, which the Bush White House flaunted, was a fake? 16) Did you know that Secretary of State Colin Powell promised a White Paper proving that Osama bin Laden and al Qaeda were responsible for 9/11 back in 2001 – but never produced it? 17) Did you know that the Bush administration resisted the formation of the 9/11 Commission for 441 days? Or that similar investigations, such as those for Pearl Harbor, the JFK assassination and the space shuttle disasters, all started within one week? 19) Did you know that no official agency (the FAA, FBI or the airlines) has ever released a list of the 9/11 passengers – including the names of the supposed hijackers, but within hours after the attacks, the FBI unbelievably released a definitive list of the 19 so-called hijackers? 20) Did you know that multiple air defense drills (war games) were planned for the morning of 9/11 and that these exercises left only a few pairs of fighter jets available to protect the entire North East Air Defense Sector of the United States leaving Washington and NYC vulnerable to an attack? 21) Did you know that there was no visible airplane debris where Flight 93 supposedly crashed near Shanksville, PA. There was only a small smoking hole in the ground, much like a bomb crater, with a pile of planted scrap metal, but that there was debris from the aircraft found 8 miles away at New Baltimore? And that Shanksville Mayor Ernie Stull said three different times in an interview (for a 2003 German documentary) that there was “no airplane”? 22) Did you know that office furniture burns at low temperatures of 600 to 800°F, and that jet fuel (kerosene), an ordinary hydrocarbon, has a maximum burning temperature of 1200°F, but that steel doesn’t start melting until temperatures reach 2750°F? 23) Did you know that tests have shown that cellphone calls – back in 2001 – could not have been made at altitudes over 8,000 feet for any meaningful duration and that, more significantly, United Airlines Flight 93 was proven to be 35,000 to 40,000 feet when calls were said to have been made? 24) Did you know that bombs went off in the North Tower in the sub-basement a few seconds before the first plane hit – according to Willie Rodriguez, a janitor who became known as the last man out and who was awarded a medal by President Bush for his bravery in rescuing dozens of people from the North Tower before it collapsed? Rodriguez testified that he and fellow workers heard multiple explosions coming from various locations in the floors above. 25) Did you know that alleged hijacker Hani Hanjour was known as an incompetent pilot to his trainers and yet he supposedly pulled off an unprecedented 270° turn at 500 mph, diving 7,000 feet in less than 3 minutes? And then supposedly crashed Flight 77 into the least populated, most reinforced section of the Pentagon? 26) Did you know that the mainstream media (MSM) in the US is owned and controlled by five or six major corporate conglomerates and that there has been very limited and sporadic coverage of alternative views about 9/11? Any time the issue of 9/11 is raised, the MSM accuses the questioner of being a conspiracy theorist or even a traitor. Anticopyright: Editorials and articles originated on TMS may be freely reprinted, disseminated, translated and used as background material, provided an acknowledgement and link to the source, TMS: Duty to Warn | The 15th Anniversary of the Crime and Cover-up of the Century (9/11/01), is included. Thank you. Yawn. Why on earch should we spend time on yet another batch on conspiracy theories that has been thoroughly debunked earlier? You might as well remove the Facebook link as this article is being censored by their ‘security systems’. Trying to rewrite the history books again Zuckerburg? Amazing – so many conspiracy lies packed into one single article. Did anybody proof read this? Did anybody check the “evidence” Gary G. Kohls provides? Thanks to Transcend Media for publishing this important article that tells the truth about what really happened on 9/11. The evidence he presented is backed up by many experts, including Architects and Engineers for 9/11 Truth, which is currently waging a challenging but productive campaign on this issue. I urge readers to go their website AE911Truth.org. for more information. Uhn Burt, do you agree with Kohls 26 points? Care for short walk-through his lies? Where shall we start? Lets look at a few of them shall we? Now, given that it is so easy to debunk this sample of Kohls’ lies, why on earth do he list these as evidence? Isn’t it because the conspiracy industry is acutely aware that they have absolutely zilch evidence? My experience is that conspiracy theorist try to drown you in links and claims, rather than focus and back up a few strong points. Usually because they know that they have no real arguments. 1) conspiracy among some Saudis. Many signs but a an US president who was deaf and blind. of official denials and suppression of research and juridical investigations. Antonio, I suggest that, before responding to the uber-patriotic, blindered, naysayer’s vitriol, insist that they actually study the documentation presented in any 9/11 Truth piece and then come back later. They are irrationally defending the ridiculous, easily debunked Cheney/Bush conspiracy theories without looking at all the evidence that has been presented by scholars from the military, CIA, architects, engineers, philosophers, firemen, police, pilots, etc,etc. The evidence in my article would convict any of the unindicted orchestrators of what were obvious controlled demolitions that brought down the three towers. The fact that most of the naysayers are totally ignorant of the fact that WTC 7 was demolished at 5:20 pm that day in a classical controlled demolition should embarrass them to no end and make they shut up and repent. Their bluster is a cover for their ignorance and blindness. They have been blind believers for so long that they can’t bring themselves to admit they were wrong. It is best to ignore such irrational types if they refuse to face up to the provable facts that were presented to them in the piece. And you can quote me on that. I assume that the above is Mr Kohls’ reply to his critics. If so, it is a very sorry attempt. Not only does he assume that we haven’t checked the facts and theories (this claim is always a good tell on people panicking), he doesn’t even attempt to refute the points made. And on top of that he is calling for WTC7 as the ultimate “proof”. It is no shuch thing. There is not a single thread of evidence for WTC7 being CD’ed or bombed. No explosion, no visual nor audible detonations of any kind. In fact WTC7 collapsed after prolonged fires, after severe damage which was verified and reported by the fire men actually looking at the building. This also correlates with the seismic plots. There may certainly (actually probably!) a lot of things wrong with the official 9-11 explanation, but the inside-job blather is just that. Right-wing induced and generated conspiracy nonsense. I spent too much time arguing against such idiocy many years ago, so I’m not going to bother now. Thankfully most of this lunacy has died down now, although I see some are still harking on about it. Still with the same not-very-scientific language of bulletproof “evidence” which isn’t evidence at all. The US government has carried out plenty of real crimes, so I don’t see a need to invent new ones. Criticise those instead of this giant strawman.